Thank you all for entering my very first giveaway! It was fun enough for me to do again! 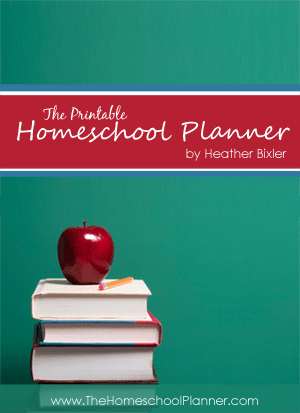 The Printable Homeschool Planner by Heather Bixler (www.TheHomeschoolPlanner.com) is a helpful resource. I’ve seen the question, “What are you using as a homeschool planner when you start your new school year?” from many home educators. There are LOTS of options and choices; from the simple to the extravagant. There is something to meet just about anyone’s requirements in using a planner. The Planner sells for $4.99. I’d say that’s a very affordable, doable cost for organization and help! I have an announcement!!! I am hosting my very first giveaway!!! If this goes well, I may make it a regular occurrence, eh?! Heather has graciously agreed to give away 5…count them 1-2-3-4-5 copies of The Printable Homeschool Planners!! If you wanna win a pdf copy, simply comment below! I’m thinkin’ you will need to leave your email address so that I can contact the winners! The giveaway will be from Saturday, July16 – Friday, July 22. I will be using Random.org to randomly select the five winners! Disclaimer: I received a free pdf copy of The Printable Homeschool Planner for review. The 5 giveaway Planners are provided by Heather Bixler, Author of The Printable Homeschool Planner free of charge.